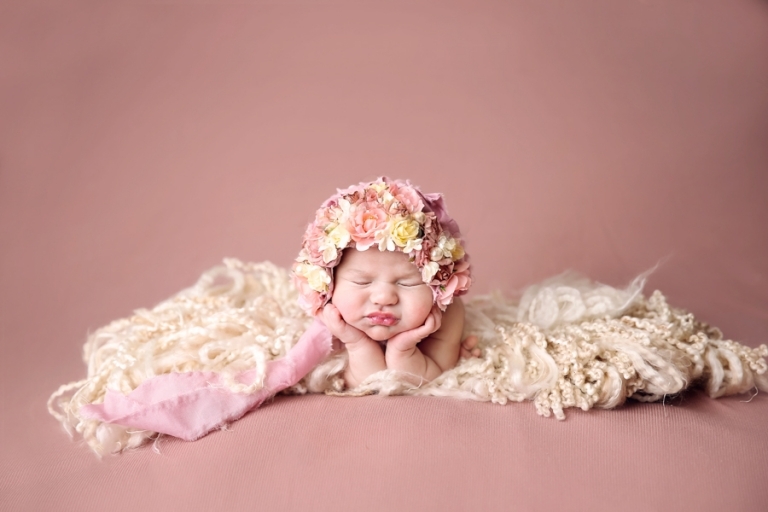 Oh Miss Emma Rose, I waited for your newborn session for a long time, but you were worth it! This little lady was due in March and made her appearance a little late, as some little ones do. But not to worry, she was so calm and alert then dozed off into the perfect sleep. I mean seriously, what’s not to love?? Look at that little smile. <3 I think we captured every little face she made, but my favorites are her smiles and the one great big yawn. Mom and Dad didn’t find out what they were having, so when she finally made her entrance, we went all girly. I love this soft rose color! Both backdrop and headband are by Devoted Knits. Look at those gorgeous eyes! So peaceful and alert she was! Ohhhhh, my favorite. 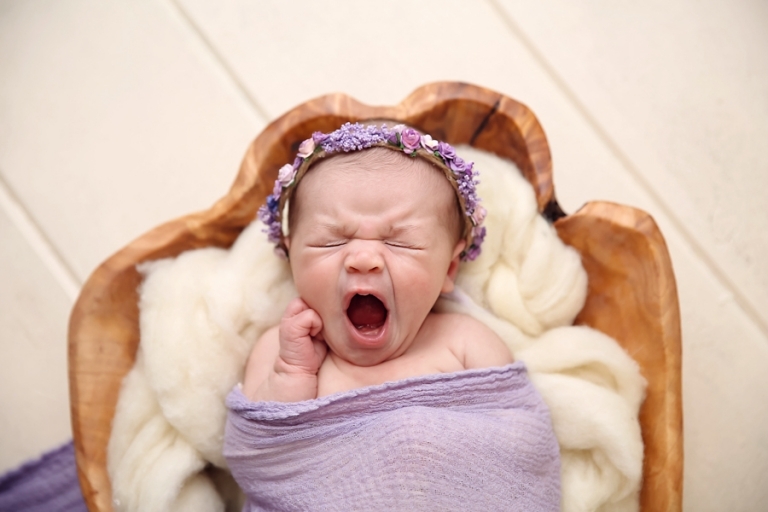 That little (big) yawn…..swoon! Headband by Created by Carli. This bonnet by Pinky Tinks Boutique was must, so a big shout out to Dad for helping me with this composite shot. And of course, no girly session is complete without a floral drop from Intuition Backgrounds. Another composite, Emma’s dad was so patient and calm- so thankful for his help! Thanks for stopping by! 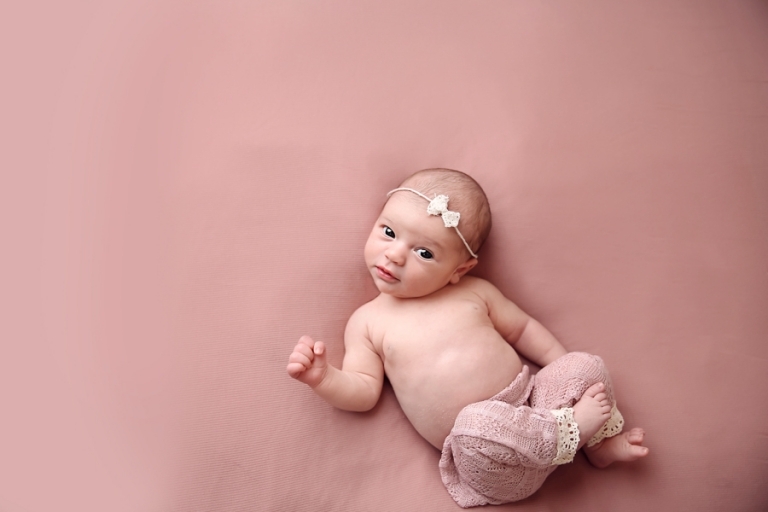 If you are interested in a newborn session, please visit the newborn portfolio and the newborn session information page to learn more about the sessions and services offered. To schedule your session or to inquire about more information, please contact Mary at mary@marychristinephotography.com or call 330-241-0424.